NIA CHARLESTOWN NEVIS (August 29, 2014) — The Nevis Performing Arts Centre (NEPAC) will host a Globe to Globe production of Hamlet, a play written by renowned playwright William Shakespeare on September 04, 2014. The visit to Nevis forms part of a two-year tour of every country in the world which commenced on April 23, 2014 which marked the 450th anniversary of Shakespeare’s birth. 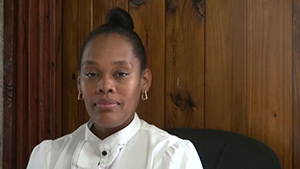 General Manager of the NEPAC Deslyn Williams-Johnson told the Department of Information on August 27, 2014 that the cast and crew from the Globe Theatre in London were expected to arrive in Nevis one day ahead of the production. 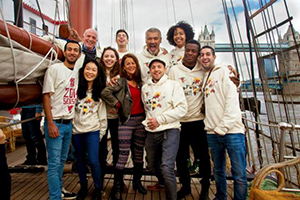 Globe Theatre out of London will be traveling here to Nevis next week on their two-year world tour of the Shakespearean play Hamlet. They will be traveling en route from Antigua to Nevis. They arrive September 03 and will leave here on September 05. Their show night is September 04 at 7:30 p.m. at the Nevis Performing Arts Centre. “It’s a big deal because they are taking the Shakespeare [play] to as many countries in the world as possible. The admission for the event would be $25. That is before and also at the gate and we will give a special discount for students, especially high school students who wish to attend this production,” she said. According to Williams-Johnson, seating would begin at 7 p.m. and she urged persons who wished to attend to be on time. “Seating begins at 7 p.m. and we are urging persons to come on time because the cast will be interacting with the audience from before the production begins as well as throughout the production. So it is very important that persons are there on time for seating and so on,” she said. The NEPAC Official also made an appeal to teachers and students of English Literature and the public to attend the historic production. “A special appeal is being made to the English Literature students of the various high schools and also the teachers of the schools who teach English Literature, so that if they are doing any Shakespearean plays or even Hamlet, they would be able to get a hands on view as to this entire production. “An appeal is being made to the general public to come on out and support this event. It promises to be very exciting. You can check our Facebook page, you can type in ‘Nevis Performing Arts Centre’ and you will be able to see pictures from the production as well as to see images of the actors as well. Everyone is invited to come on out and to show their support for this group,” she said.